Adorable and dazzling, the Ariel ring design features a central round brilliant cut diamond surrounded by a ring of diamonds above elegant diamond set shoulders. The decadent Ariel design brings to life the eternal beauty of expertly faceted Round Brilliant cut Diamonds. Held within four claws, we set a central Round Brilliant cut Diamond selected to match your chosen carat weight, colour and clarity grade. Encircling this Diamond within double claw settings are 27 matching Round Brilliant cut Diamonds 1.4mm in size which add a further 0.38cts to the Diamond weight. Crafted over 3-4 weeks we hand set, meticulously polish and deliver the pristine, mirror polished ring, exquisitely packaged and ready to present. 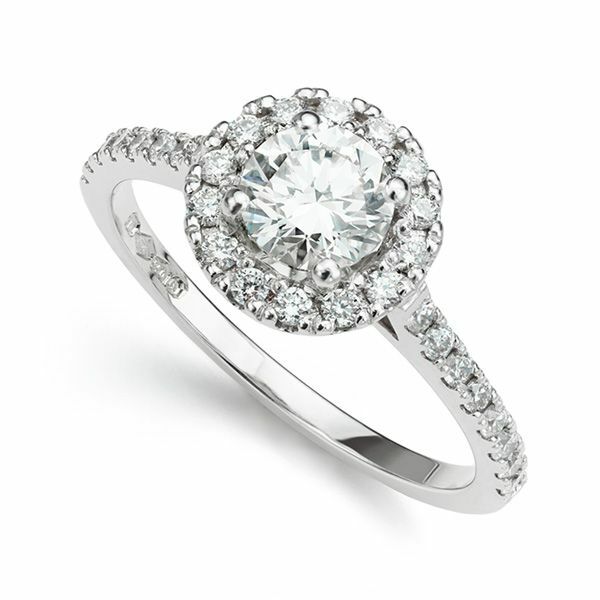 This elegant ring design benefits from a Wedding-Ring-Friendly setting above a 1.5mm Diamond shoulder band. 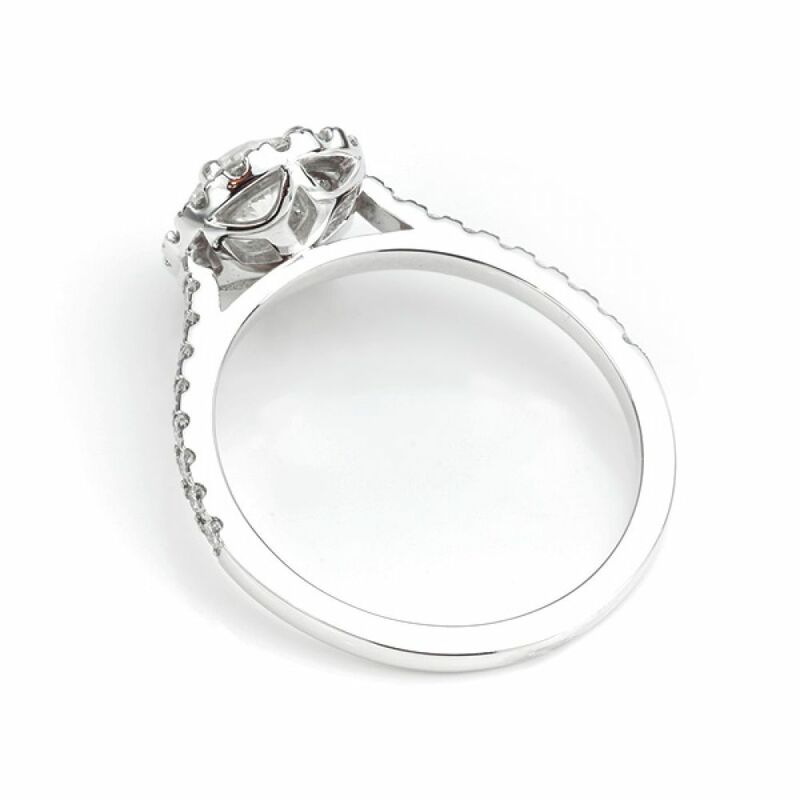 The ring can be made in a choice of 18ct White Gold or 950 Platinum. The final commission will be hand delivered to your door by fully insured courier and backed by a lifetime warranty and complementary size adjustment. Elegantly styled with a wedding-ring-friendly setting, the Ariel diamond halo ring is shown here set with a 0.60cts diamond in the centre of the ring.